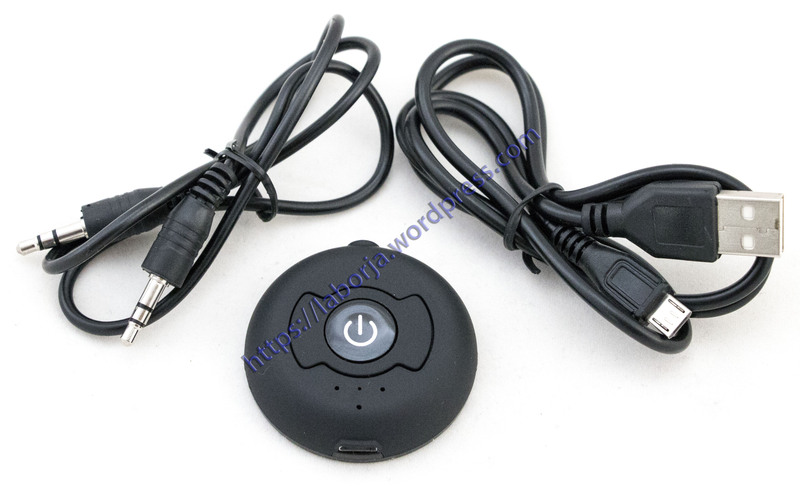 This is bluetooth Audio transmitter (not bluetooth music receiver ), it is not used to connect cellphone, this transmitter is used to connect the bluetooth headset or bluetooth speaker. 1. Use AUX Cable connect transmitter and TV or DVD or others device, then open the transmitter (press the button about 3-4 seconds). 2. Open the bluetooth headset, must under ready to pairing. 3. The transmitter will auto connect your bluetooth headset or bluetooth speaker, then the TV or DVD sound will into your bluetooth headset or bluetooth speaker, done! H-366T is designed to transmit audio signal of TV, DVD, MP3 etc to Bluetooth earphones or speakers by the Bluetooth wireless technology. To help customers to realize higher quality wireless household lives, easy operation, connect the product with audio players by a audio cable, without set up after the device turn on. 2. Multi-point design, one transmitter could connect with two Bluetooth devices at the same time, eg. one BT speaker and BT headsets. 3. High quality stereo transmission makes sure you can enjoy the auditory feast.